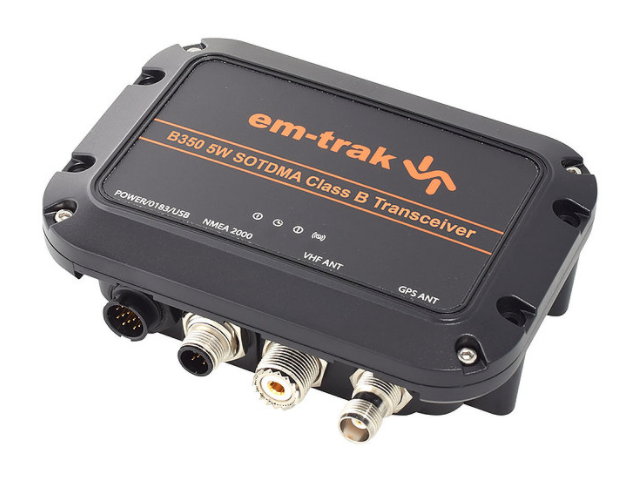 The em-trak B350 is a certified high powered AIS Class B transceiver that is ideal for those requiring enhanced AIS transmit capabilities with guaranteed seamless connectivity to their MFD’s, displays and APP’s. As a high powered AIS Class B the B350 transmits at over twice the power of standard AIS giving you increased range, as well as transmitting up to 5 times more frequently using the priority SOTDMA transmit method; useful for mariners operating in busy areas or times of low visibility; this capability is further enhanced by HF-AIS technology which enables you to see more AIS targets. All this is achieved whilst maintaining ultra-low power consumption. 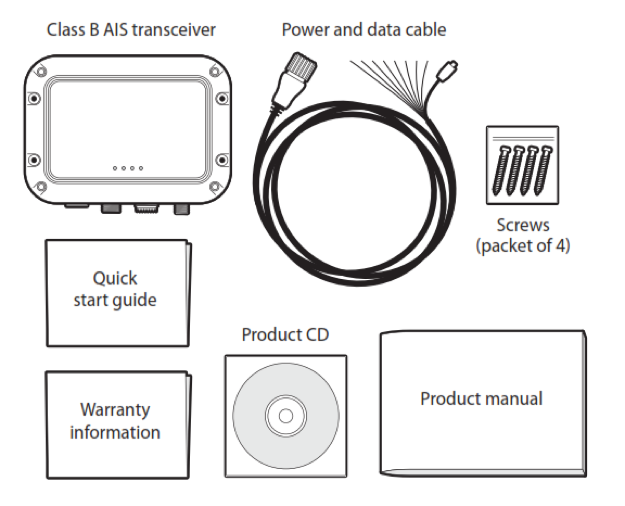 The B350 is small and entirely water and weather proof and comes with an integrated high-performance GPS antenna making an external antenna optional in most installations and providing complete installation flexibility and convenience. The B350 is the perfect choice for the serious mariner looking for uncompromised quality and performance within a small package and competitive price. Processes all AIS transmission and message types. Globally certified High Powered AIS Class B (5W SOTDMA) – FCC, EU-MED, USCG, Industry Canada and more. HF-AIS core technology for enhanced performance and better AIS data. Market leading ultra-low power consumption. Ruggedized – water (IP66 & 67), weather, vibration, shock proof with enhanced radio interference protection. 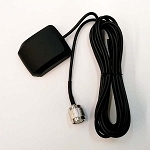 Integrated high performance GPS receiver and antenna – external antenna is optional. 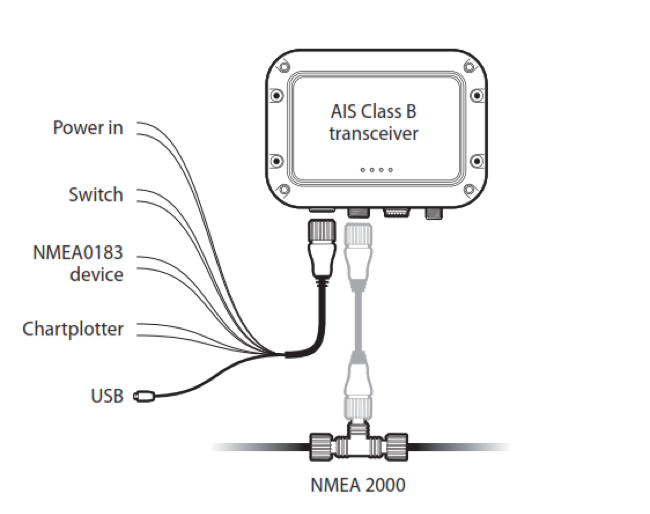 Dual NMEA0183 & NMEA2000 intelligent MFD / display system / APP connectivity. Silent mode – transmit function disabled but unit continues to receive. Purchased this AIS after traveling in fog near commercial traffic. I could see them with my AIS enabled VHF and Chartplotter, but they could not see me visually or on RADAR. I feel safer with this capability added to my vessel. I've been told that law enforcement likes AIS as well as it tells them that you are providing consistent information. I boat near a Navy station that frequently has range boats in the area, AIS allows us to know who is who and where we are. I chose to install a separate antenna for the AIS as it will provide some redundant capability for my VHF. I checked with Marine Traffic online and I showed up on their system within 15 minutes of all green on the AIS. I am happy with my purchase and it's performance to date. 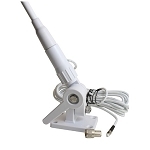 I connected this to a dedicated antenna on top of our mizzen mast and to the nema 2000 network. Powered on and was working immediately! We're transmitting our position and more receiving far more targets than with the receive only unit. As a bonus I was pleasantly surprised to find that the USB connection, when connected to openCPN on my laptop was not only supplying AIS information, but position as well!! BONUS!